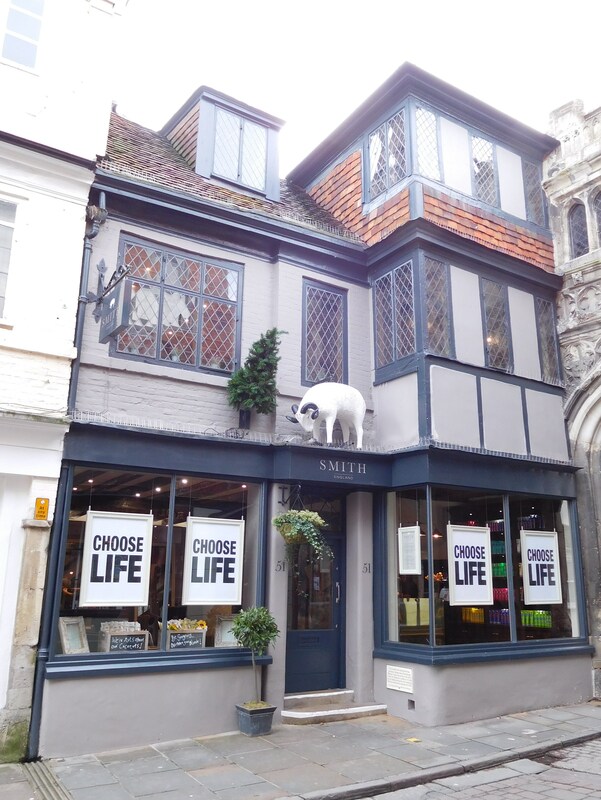 This joint nomination combined the rescue of the former SPCK bookshop, empty for several years and looking increasingly forlorn, with the slightly earlier creation of a new wooden sheep above the doorway. The previous version, a relict of the shop’s former use by a firm producing woollen goods, had first lost its head, and then, once repairs were undertaken, proved to be rotten throughout. The work to the premises had clearly been thoughtfully carried out, with the necessary respect to the building’s history. The new fittings enabled it to meet its new function as a hair salon, without losing sight of the underlying character and identity. In the basement, care had been taken to leave an archway associated with drainage of the Cathedral Close, which the building abuts, fully exposed and legible. The new sheep was felt to have been executed with great skill, closer in form than its predecessor to the Wiltshire Horn breed which would have produced wool for the earlier shop, but not losing all the naivety of the previous animal. The combination of a building rescued and adapted for a new function without losing its historic character, and a guarantee of continued long life for its most distinctive external feature, together made the whole project well worth a commendation.